Ward Memorial Hall. Photo by Jeramey Jannene. 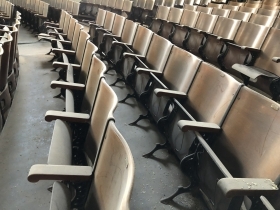 The U.S. Department of Veterans Affairs gave developers and the media an up-close look at three historic structures slated for redevelopment on the Clement J. Zablocki VA Medical Center campus. 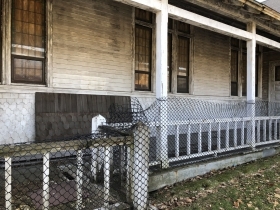 The three buildings, part of the national landmark Soldiers Home, have served as a place of respite for generations of veterans dating back to the Civil War, but now find themselves in need of substantial repair. 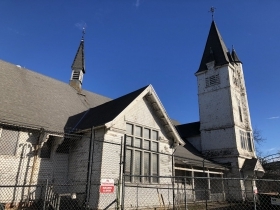 The federal department issued a request for proposals two weeks ago to redevelop Ward Memorial Hall (1881), The Governor’s Mansion (1868) and the Chapel (1889). 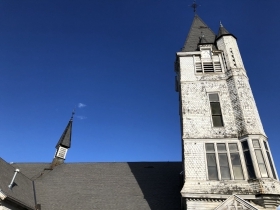 Contractors, architects and camera-toting media members got an up-close look at two of the structures Monday morning, while the chapel was deemed unsafe for entry by VA safety officials. 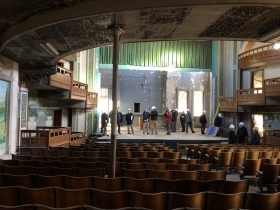 The 90-acre complex, located near Miller Park at 5000 W. National Ave., has been the subject of a large-scale preservation effort led by the Milwaukee Preservation Alliance and National Trust for Historic Preservation. 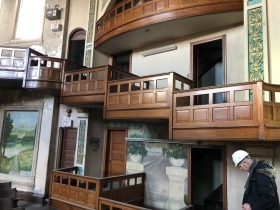 “Our priority is to find interested developers who share our commitment to ensuring veterans are served by these buildings,” said Milwaukee Preservation Alliance board president Peter Zanghi last week. Bids are due January 7th, and unlike previous redevelopment proposals, don’t require the buildings to be used as veterans’ housing. Projects that support veterans will be preferred, though, according to VA representatives. 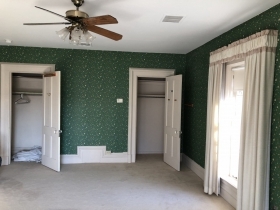 Developers are required to bid on all three properties. The hall, better described as a theater, is the largest of the three buildings slated for redevelopment. 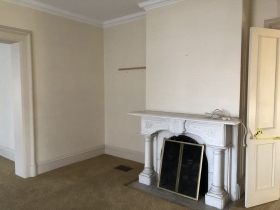 It’s been vacant for decades, and it shows, as paint is falling off the walls and debris is scattered about. 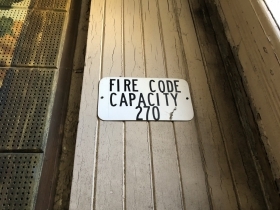 The VA invested in sealing the exterior of the Cream City brick building in recent years, buying more time for a future redevelopment scheme, but much work remains to be done. The building was designed by architect Henry C. Koch, who also designed Milwaukee City Hall. 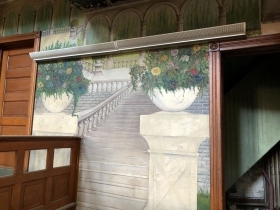 Designed in the New Renaissance style, much of the original charm is still intact, including two levels of seating (from an 1898 renovation) and a number of murals. 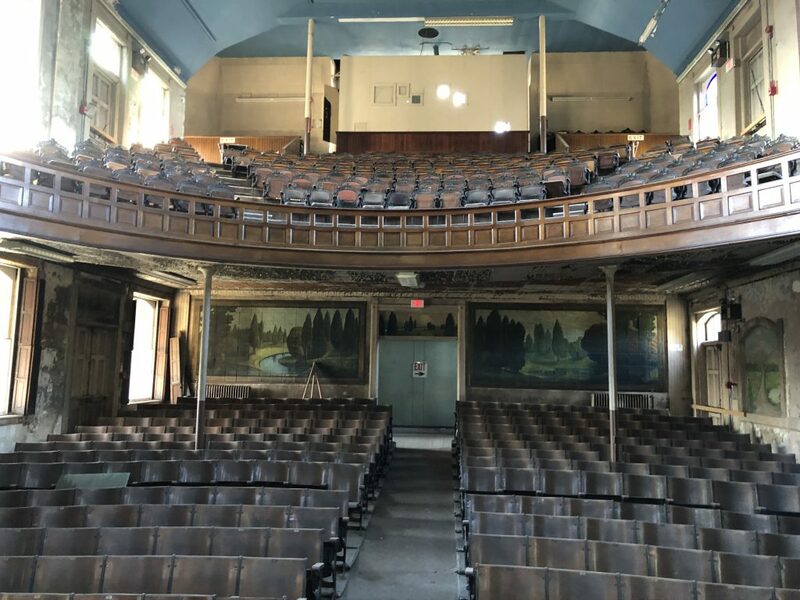 Over the years the theater has also been used as a hall, restaurant, store, post office, place of worship and temporary home for veterans. The northern face of the building now faces the Hank Aaron State Trail, but long ago that rails-to-trails corridor was an active railroad and a ticket window can still be found in the facade. A large, stained-glass portrait of General Ulysses S. Grant was installed in the building in 1887 and placed in storage in 2011, to be returned upon the building’s redevelopment. 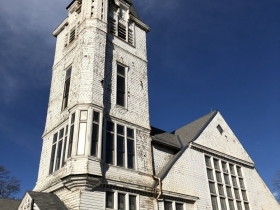 The multi-denominational chapel, another Koch designed building, is in need of substantial repair. A contractor is currently repairing the roof and making other repairs to seal the building. Built in the shape of a cross, the wood-framed structure dates back to 1889. 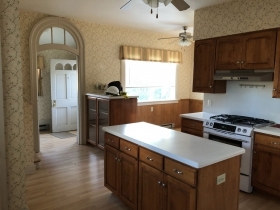 Designed in the Queen Anne style, a variety of woodworking patterns are visible from the exterior. The chapel remained in active use until 1996. 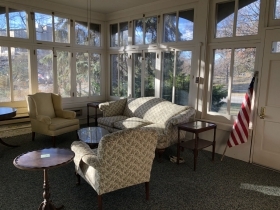 The tour began in the former Governor’s Mansion. 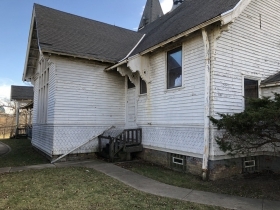 Built in 1868 out of Cream City brick, it’s the oldest remaining building on the campus. It’s also the easiest one to see a future use for. 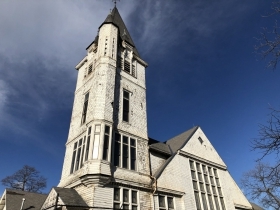 The building was used as housing for the center’s director until three years ago. Unfortunately, its recent use also resulted in changes to the interior. 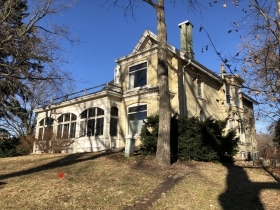 Many of the interior architectural flourishes from architect Edward Townsend Mix, who designed the home in a similar style to his own on the east side of Downtown, are gone. 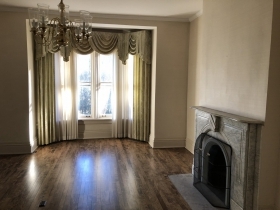 Still, many design features in the 12-bedroom house, including those from its 1916 renovation, can be found including original windows and marble fireplaces.